2000mL Nalgene™ Filtering Flask | U.S. Plastic Corp. 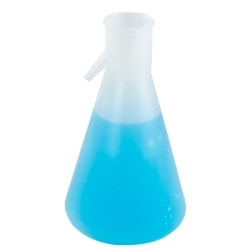 These flasks are molded in one piece polypropylene so they can withstand a full vacuum to 30°C. There is no need to tape these flasks or to worry about explosion. The tubulation at a 45° angle accepts 1/4" to 3/8" tubing. They are autocavable.